Just moments ago, Mazi Chukz took to twitter to premiere the video to his second single ‘One In A Million’ and we are absolutely loving it. The UK based Nigerian artist is new to the Afrobeats scene, and released his debut single ‘Ebeano’ in early Summer of 2013. ‘Ebeano’ gained a good response from fans, and gave fans a taste of his sound and what's to expect from him, but this track ‘One In A Million’ is what's bound to keep his name on a lot of peoples lips and increase his fan base rapidly. 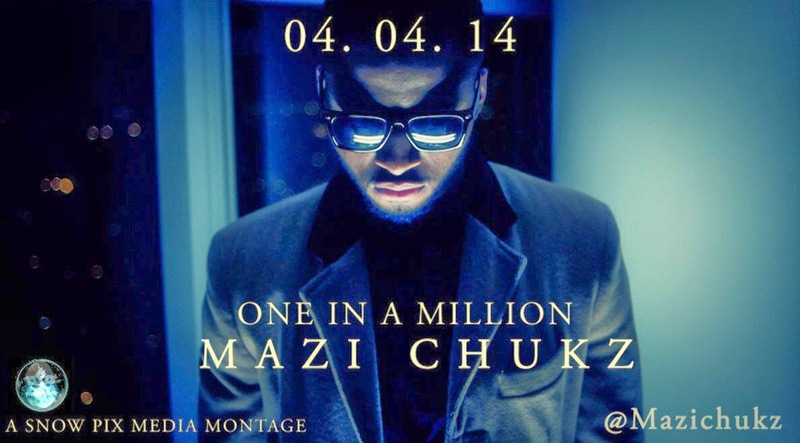 Mazi Chukz delivers with a slow and sultry song with a catchy hook, alongside a captivating and engaging story line. Shot in London and directed by Snowpix Media, Mazi Chukz has a hit on his hands that's about to take the UK Afrobeats scene by storm. Check out the video to ‘One In A Million’ below.